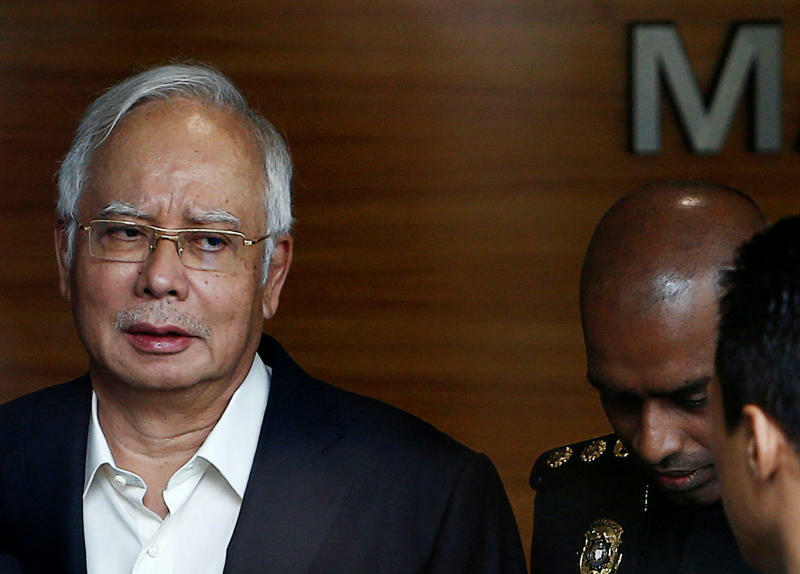 Najib claims that the socio-economic benefits of the HSR Project exceed its costs. 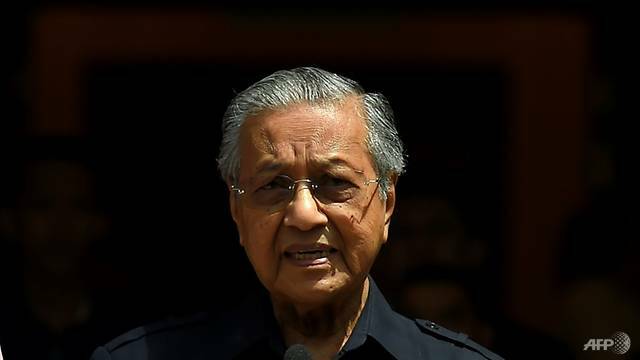 According to Tun Dr Mahathir, the KL-Singapore HSR Project, which was announced by former PM Najib Razak in 2010, does not benefit the country. "It's not beneficial. It's going to cost us a huge sum of money. We'll make no money at all from this arrangement," he was quoted as saying on 28 May. Tun Dr Mahathir had said that the project "will not earn us a single cent". In an interview with Financial Times, he explained that the move is a part of deep cuts made to government spending and investment to "avoid being declared bankrupt". 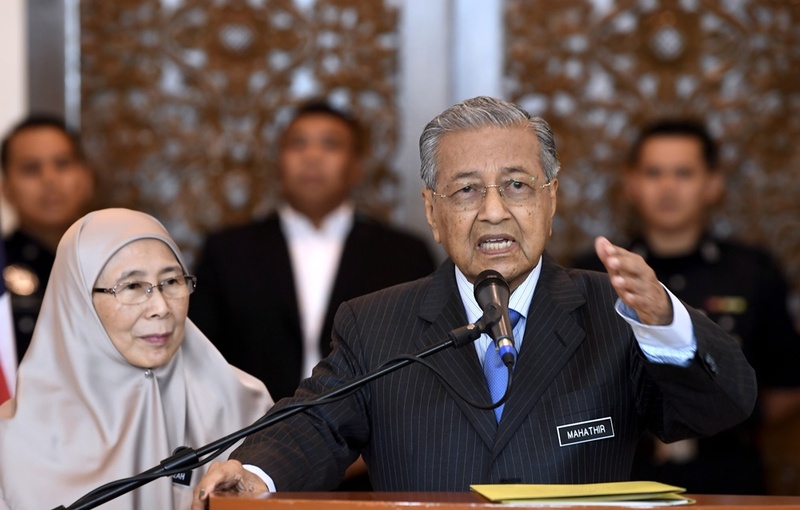 "We need to do away with some of the unnecessary projects, for example, the high-speed rail, which is going to cost us RM110 billion and will not earn us a single cent." The scrapping of the billion-dollar project has, naturally, attracted comments from several parties. Below, we are listing down who is saying what about the cancellation of the high-speed rail project. According to Dahlan, who was the minister in charge of the HSR project, the cancellation will see Malaysia lose an estimated RM209 billion in gross national income (GNI) contribution and 70,000 potential jobs opportunities. "The abandonment of HSR would also mean that the value of 1MDB's Bandar Malaysia project which was to be the terminus station of the HSR would be substantially decreased - diminishing the ability of 1MDB to repay its debt," the UMNO strategic communications spokesman said in his Facebook post. 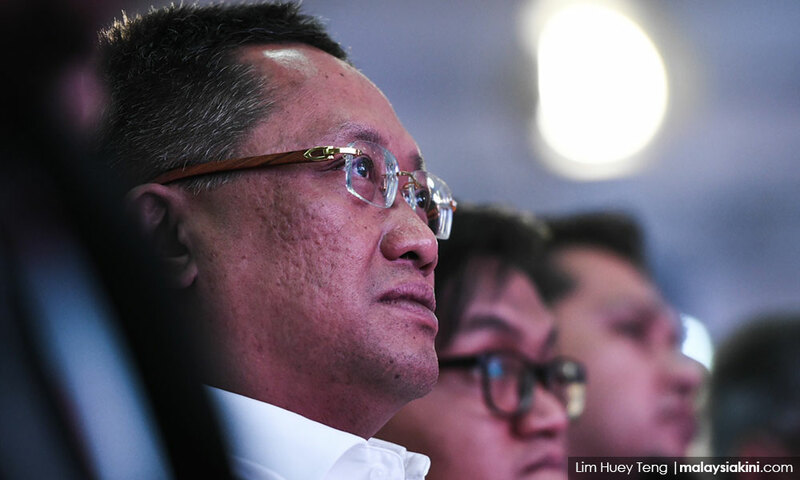 Calling the new Pakatan Harapan Government "short-sighted", Rahman Dahlan claims that the "spill-over benefits (of the HSR Project) are so huge that it will be a wasted opportunity if we don't proceed with the project now." "Did the PH government take into account the net economic benefits and spillover effects, beyond the cost of the HSR project, before arriving at the hasty decision to cancel it?," he said, adding that if this project is re-started in future years, "the cost would only increase and the debt burden will increase manifold which is totally against the PH government's plan to reduce the national debt." According to Steve Chong Yoon On, the decision to scrap the HSR Project will be hard on property developers who have invested in land near the proposed stations. While terming the move as a definite "setback" for developers, he, however, said that they are supportive of the initiative for the greater good of the country. "Yes, there will be an impact on developers and some people who bought properties that were supposed to be close to the stations. But everyone has to look at the bigger picture of saving our country's economy. 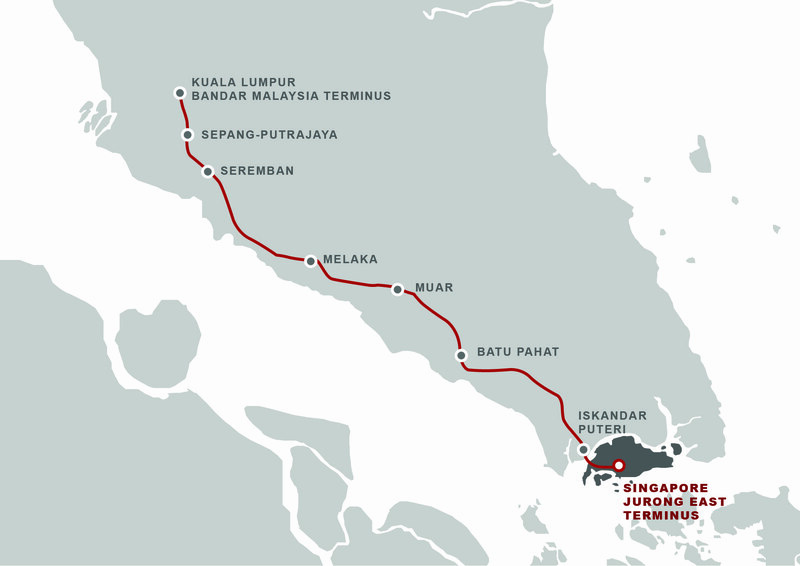 "The project is now scrapped, but who knows - when our economy is much healthier in the future, the HSR project might be reconsidered," The Straits Times quoted him. In a Facebook post on Wednesday, Najib has urged the Pakatan Harapan Government to be "transparent" about its decision to cancel the project. "The projections from the relevant report I have seen indicate an estimated economic benefit of RM650 billion (S$218 billion) in gross national income by the year 2069. "There would have been 110,000 job opportunities created, which is estimated to increase to about 442,000 by the year 2069," Najib said, adding that he is disappointed with the rash decision to drop the project, and urged the government to act with integrity by hosting consultations before making any decision. "He has to show proof (that the cancellation of the HSR project) is a mistake," he said, while accusing Rahman of running his mouth without accurate proof. "We said that they (Barisan Nasional) had accrued a national debt of RM1 trillion, we had papers, documentation that prove this. "Don't just talk, ask him to come out with evidence," he said at a Breaking fast dinner with the police force, with him was Home Minister Tan Sri Muhyiddin Yassin. What do you think about the cancellation of the HSR Project? "Truly, Malaysians have taken their patriotism to greater heights."